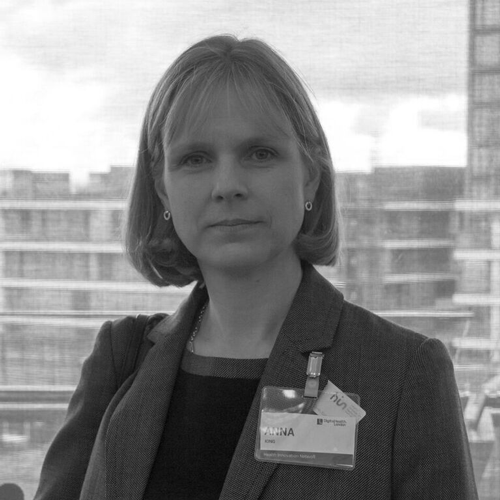 Before taking her role as Commercial Director, Anna was the Commercial Programme Director at the London Commercial Support Unit (Commissioning Support for London, NHS London, and NHS Trust Development Authority). She managed the London Trusts’ Productivity Support Programme, including designing and implementing the Together to Improve Value Programme, working across 15 acute trusts in London, as well as programmes looking a nursing, diagnostics imaging, pathology, and back-office services. Anna has procured and managed a number of pan-London independent sector contracts, including Any Qualified Provider for elective surgery, Diagnostics (InHealth), the North East London Treatment Centre (Care UK), and home oxygen. Anna was a Director with Grove Investments, and managed both bolt-on acquisitions for Barchester Healthcare and investment in Trilogy Health Services. Anna qualified as a Chartered Accountant with PricewaterhouseCoopers, and spent 13 years working primarily providing corporate finance advice to a wide range of health and social care clients, including GSK, Roche, and Aventis.